The Turing Principle states that any physical process may be simulated by a universal computer. Therefore it is not only possible but likely that one day our species will be knowlegible enough to create intelligent, brain-like systems that sustain balanced emotions, prevent disease, postpone death, and eliminate unnecessary pain altogether, and, as a consequence, vastly improve our personal and social lives. As for now, we can only hope that artists, scientists, and others will continue to explore the boundaries of knowledge and cognition. 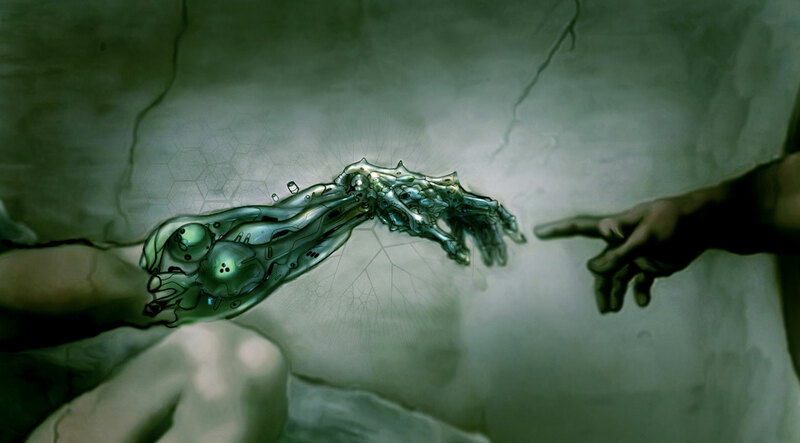 This site contains ten Artificial Intelligence Models and ten True or False texts. In the A. I. Models the ultimate intention was to describe complex human functions with a degree of detail sufficient to program (code) an ‘intelligent’ machine to simulate these functions. In other words they were designed as a means of testing the feasibility of automating a particular human characteristic or group of features. In addition, my hope was to gain insight into the nature of complex human behavior and perception. In the Artificial Intelligence Models, the texts include a variety of subjects ranging from music, listening, knowledge, observation, cognition and perception, to creativity, abstraction, morality, and transcendence. Overall, the content of the texts reflects connections between nature, science, and art. Intermingled between the A. I. Models, the True or False texts tend to express similar content but with a poetic character, acting as a relaxation from the intensity of the more complex prose. In addition there is a set of computer-driven pieces for digital piano, Five Studies on the Brain based on texts by artist Gail Wight. Each of the five pieces may be listened to after reading four texts in order (2 AI’s, 2 True/False). Or the music may simply be listened to separately. The ten A. I. Models and ten True or False texts were written between 1990 and 1997. In their original form, they were intended to be read aloud, part of a collection published in 1999 as Complete Short Texts for Speaking Voice.